The whole cast of ‘Once Upon a Time’ can be considered as a family as each member share a very warm bond. Among all, the bond that Jennifer Morrison and Colin O’Donoghue share is one of the most beautiful things about the couple. The on-screen chemistry between the pair is so real that almost all of their fans believe that they are real-life couples. Although Morrison and O’Donoghue are great friends in real life, they aren’t involved in any kind of love and relationship. Morrison has dated two co-stars during her career and O’Donoghue isn’t either of them. So who is she dating now? Let’s find out. The 38-year-old actress was in a relationship with her House co-star, Jesse Spencer, in the past. Their relationship began in 2004. We can say that the couple was madly in love. On 23rd December 2006, Spencer proposed Morrison in a very romantic way. He asked her to marry him at the Eiffel Tower and Morrison reply was rather expected, a ‘YES’. They had plans to tie the knot in the same year but things got quite rough between them. Just like their on-screen romance, their real-life love affair came to an end. They broke up their three-year-long affair and called off their engagement in Augusts 2007. Their relationship also ended in a very dramatic plot just like their character on the show. After that Morrison moved on and didn’t give up on love. She found it fell in love with another co-star Sebastian Stan on the ABC fantasy drama. Stan portrayed the role of Jeffrey the "Mad Hatter" on the show. His relationship with Morrison only lasted for a year. According to sources, there was no distinct reason behind Morrison and Stan’s split. The couple simply ‘grew apart’. Stan only had a small role in the series due to which former pair didn’t have to go through co-star awkwardness. On the other hand. 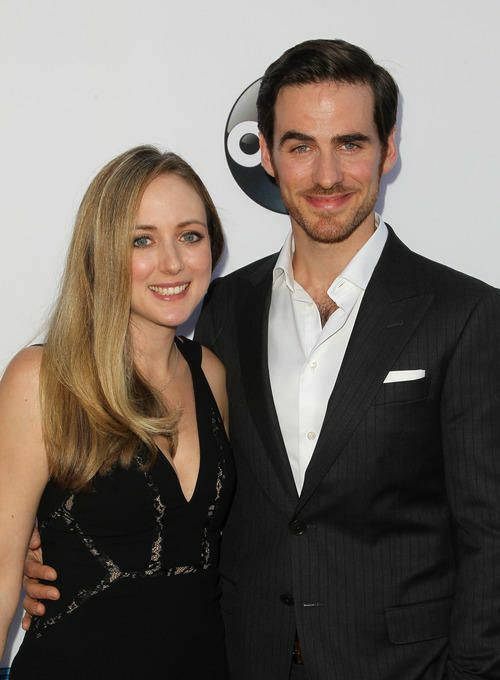 O'Donoghue is happily married to his schoolteacher wife, Helen. Just after he appeared on ‘The Tudors’, he thought that it was the right time to get hitched to his long-term girlfriend. O’Donoghue and Helen tied the knot in 2009. The pair became parents for the first time on 1st August 2013 after O’Donoghue’s wife gave birth to an angelic baby boy. O’Donoghue and his wife have been together since he was 18 years old and even at present, their relationship is going well without any hints of divorce. Although Morrison’s relationship status is single, she doesn’t really look like she needs a guy in her life. She appears to be a lady who can do just fine without a guy in her life. However, we would really be happy to see Morrison get married to the right person and enjoy the bliss of marriage.